More than 100 people from 14 states were reported to have measles in January and the number continues to grow. According to the Centers for Disease Control and Prevention (CDC), most of these cases are part of an ongoing, multi-state outbreak linked to an amusement park in California. The majority of the people who got measles were unvaccinated. While 100 people seems small, it is more than we have seen in years. What should you know about measles? Measles is a highly contagious disease. Measles is a respiratory disease that can easily spread when it reaches communities where groups of people are unvaccinated. It can spread even if you do not have direct, close contact with the person who has measles; for example being in the same room as someone who is infected with measles. 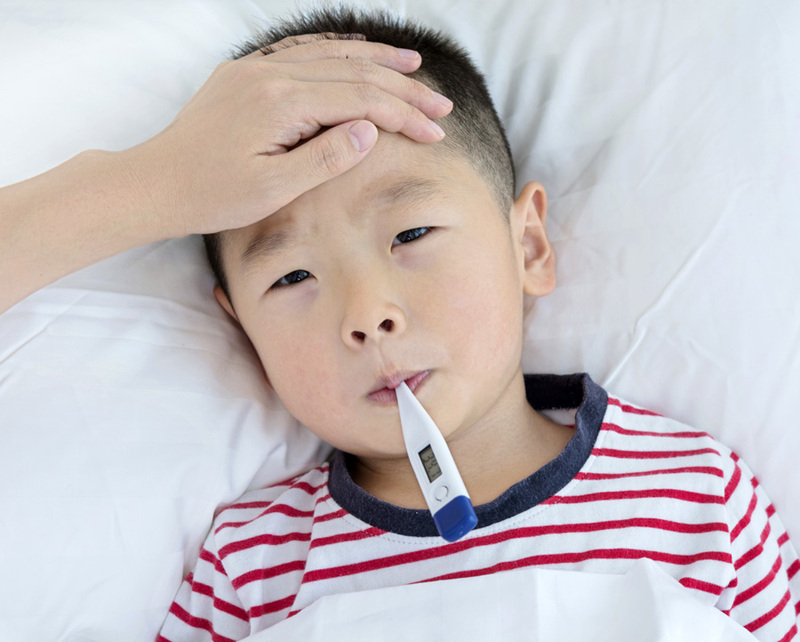 Measles starts with a fever, runny nose, cough, red eyes, and sore throat, followed by a rash that starts at the head and face and then spreads over the body. This rash typically appears on the fourth day of the illness. People can be contagious starting four days before the rash starts through four days after the rash starts. About three out of 10 people who get measles will develop one or more complications including pneumonia, ear infections, or diarrhea. Even in developed countries like the United States, as many as one in a thousand affected children may die as a complication of measles usually from pneumonia or encephalitis, which is an irritation or swelling of the brain. . Measles is preventable. Measles can be prevented by the combination MMR (measles, mumps, and rubella) vaccine. The CDC recommends that children get two doses: the first dose when they are 12 to 15 months old and a second dose at 4 to 6 years of age. Older children, teenagers, and adults also should be up-to-date on their vaccinations. The MMR vaccine is highly effective and safe. And what if your child is less than 12 months old? Babies are generally protected by passive immunity they receive from their mother during pregnancy. This protection starts to lessen after the baby is 6 months old. However, the presence of the passive immunity may weaken the baby’s own immune response to the MMR vaccine until the baby is a little older. Pediatricians often recommend giving babies 6 months or older the MMR vaccine when traveling to other countries where they may be exposed to measles. Unless you are planning to travel internationally or the measles outbreak reaches your community, hold off on the vaccine until your baby is 12 months old. Wondering whether you or your loved ones need the MMR vaccine? Ask your health care provider. Confused about the resurgence of measles and other diseases that vaccinations can help prevent? Check out this video from the New York Times.